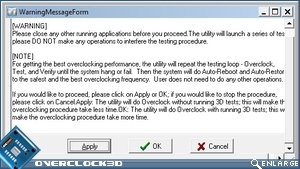 Biostar supply three pieces of custom software with their motherboards. 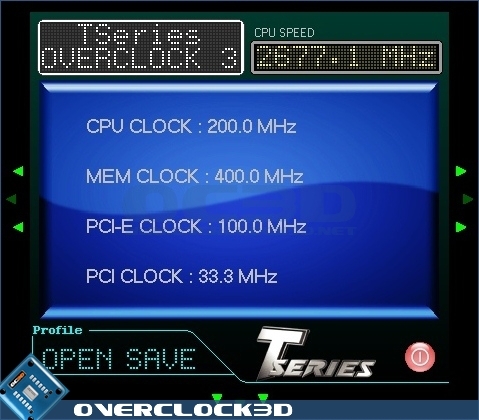 Two for monitoring and one for overclocking. This is quite a comprehensive little program, providing information about the speed, use, temperature and live voltages that the system currently has. An extremely small footprint, clear design and the ability to slide it totally off the screen make this the perfect example of a program that does everything you could ask of it, in a speedy and small package. 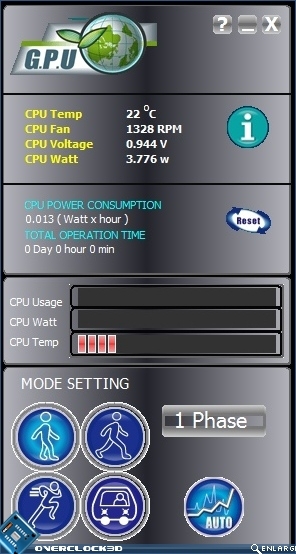 The Biostar Green Power Utility has a few settings available to allow the user to control the power levels between gentle, medium and high usage, with an auto button taking care of most elements for most people. In these ecologically conscious times though it's nice to be able to reduce the power consumption of our desktops, even if only by a small amount. 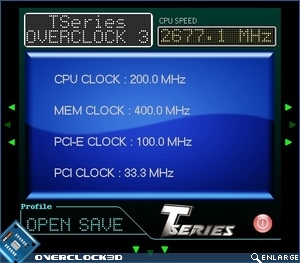 We've had some bitter experiences with manufacturers software overclocking utilities, so it's with some trepidation that we spot the third modification of Biostars T-Power Overclock software. However, it proves itself to be quite a handy package. A very nice skin lays everything out clearly with it defaulting to having the actual tweaking aspects hidden behind sliding panels. Opening them all up we can see two useful boxes, and one that is more of a help for people wanting to copy your settings. 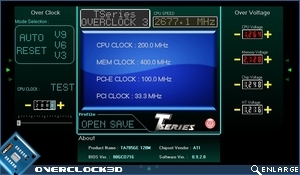 On the left is a replica of the BIOS settings with V3, V6 and V9 settings built in. There is a damn handy reset button for those "omg" moments and an auto button. Eek. 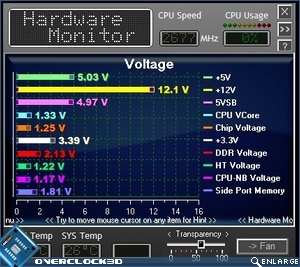 Auto overclocking usually means a dead processor as companies tend to err on the side of too many volts. We'll have a look at the results of that on the next page. Also available is a manual BCLK adjustment. 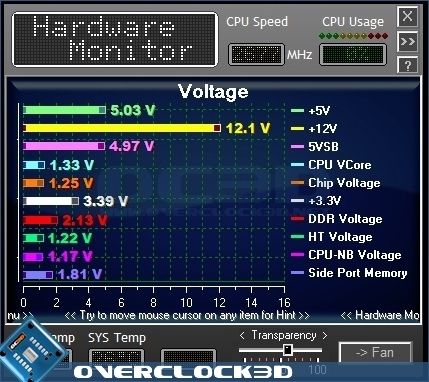 The right panel is the scariest part for anyone who wants to dabble in manual overclocking, but because it's behind a separate panel hopefully it'll save too many releases of the magic smoke. Also Biostar have wisely hugely underestimated the volts at which the numbers will go red. So it's another warning sign. 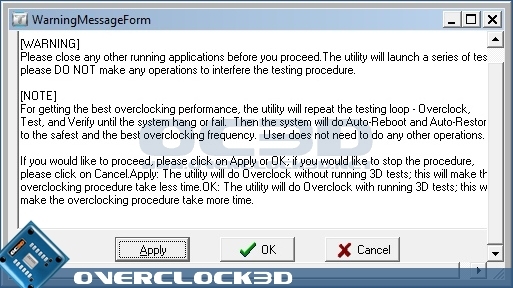 Finally, if you do decide to go down the automatic overclock route, they kindly warn you in enormously unavoidable style, about the wisdom of what you are about to attempt. Thankfully it does recover very well, but we're getting ahead of ourselves. Time for a look at the BIOS.